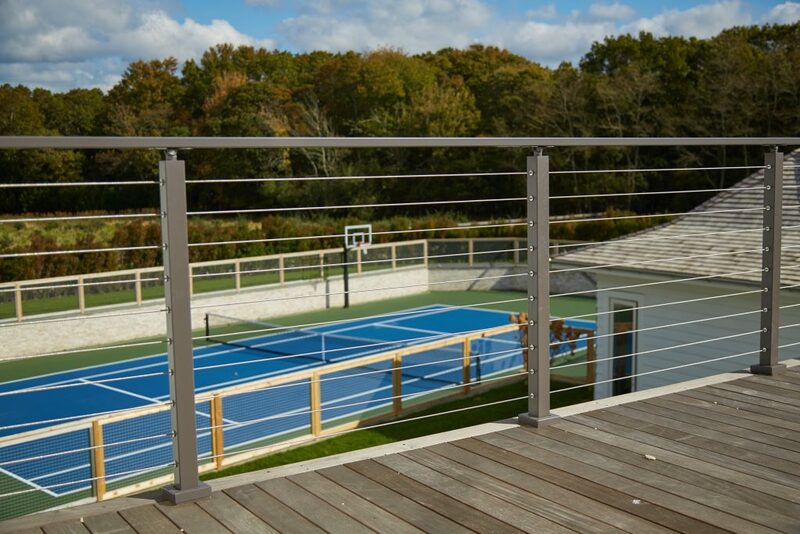 This gorgeous cable railing system added a sleek, modern glow to a home located in Southampton, New York. 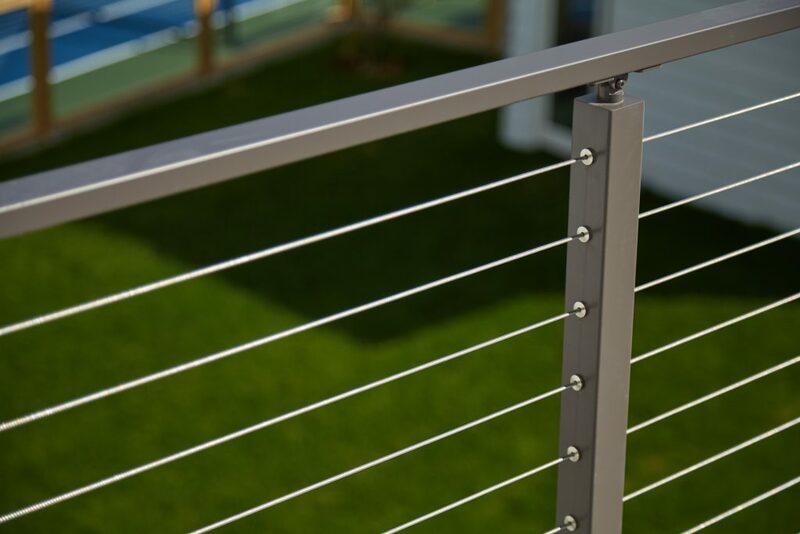 Square metal deck posts offer excellent structural support thanks to their large base and sturdy aluminium material. The posts in this particular project were finished with our popular Colonial Grey Finish, but you can select from eighteen finish options to customize any posts on your system. You can also choose between a variety of material types depending on whether the posts are being used for an outdoor, indoor, or coastal project. 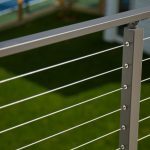 The deck is securely surrounded by top-quality aluminum handrail – the perfect complement to the cable rail. 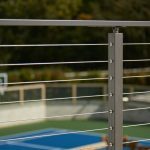 The handrail provides safety and security, while the horizontal lines of cable railing keep the views open. Finally, installing this system was a breeze with our KeyMount Installation Kit. 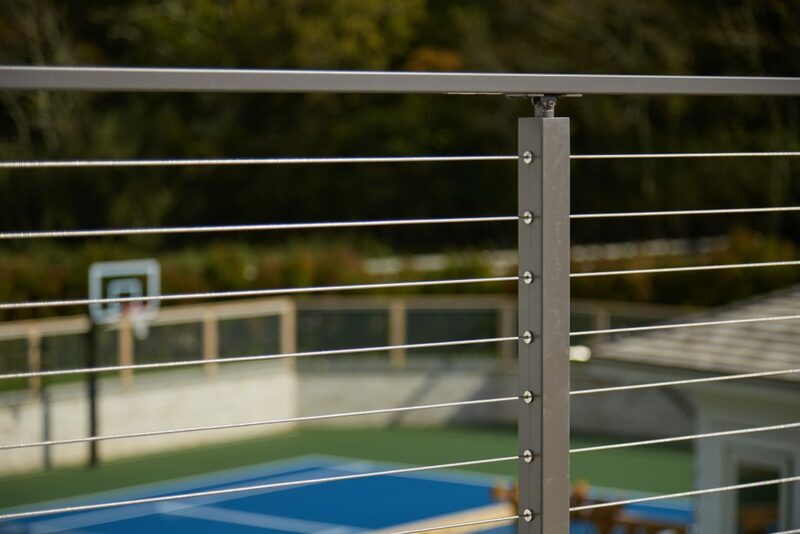 Guests can sit on the patio and enjoy the distant view, yet rest assured that children of all ages will be safe to play behind the cable railing. Together, posts, handrail, and cable railing culminate in the perfect backyard deck.